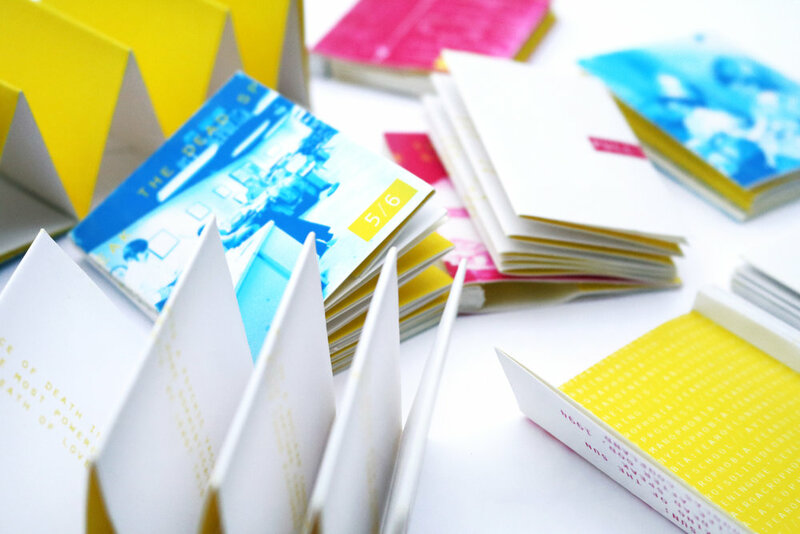 Nineteen booklets inspired by "The Wrong Sun" From Life After God by Douglas Coupland. Each book contains Coupland's text accompanied by additional hand-selected text and images. Back of book: Text from the following screenplays (one per book) : Silent Running, Towering Inferno, Soylent Green, The Andromeda Strain, The Omega Man, and Earthquake, all of which are mentioned in Coupland's text.